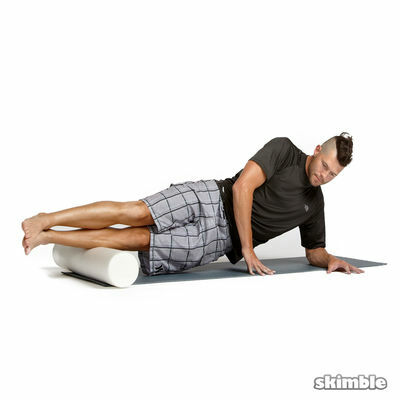 Start with your knees on the foam roller and your hands on the floor in front. 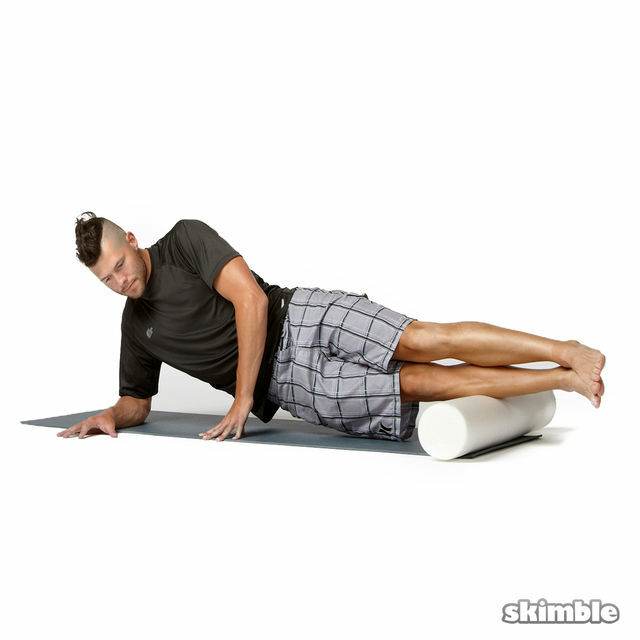 Put the majority of your weight on your hands and slightly lift your left leg off the roller.  Tilt your body to the right so that your weight is focused directly to the side of your right shin. Slowly roll back and forth.